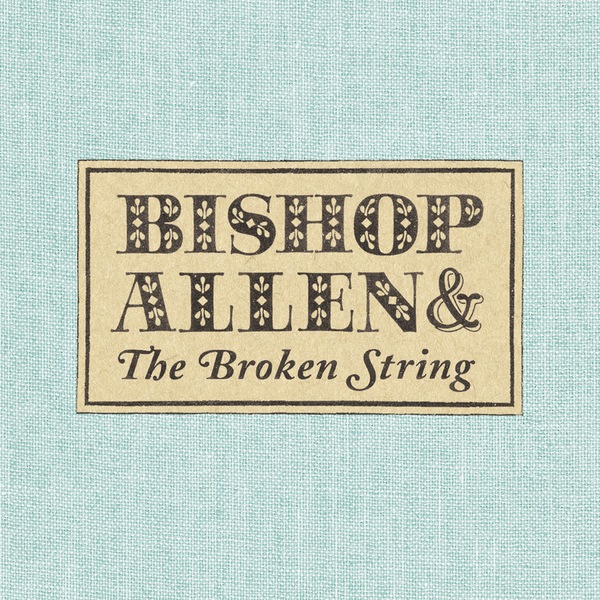 Last year Bishop Allen recorded and self-released an EP every month. Quite an undertaking to commit yourself to - right up there with Sufjan's American States project (incidentally, isn't it about time he got on with that?). In fact, these guys could well be thought of as occupying the same sort of ambitious, multi-instrumental indie bracket as Sufjan (particularly on the superb 'The Chinatown Bus'), or someone along the lines of The Decemberists. Bishop Allen share a similarly narrative-driven preoccupation with Colin Meloy's band of theatrical rogues, as is evident on the likes of opener 'The Monitor' and the slow-building gem 'Flight 180'. It doesn't seem implausible that these guys might find that sort of level of success either. There's not only a great deal of texture in the band's arrangements, but the songs are magnificent too. If there's anything going to hold Bishop Allen back from wider success it's that they might just be too smart for their own good: founding members Justin Rice and Christian Rudder are a pair of wordy Harvard graduates, and they certainly know how to put together articulate songs - both lyrically and in musical terms, there's a great deal of sophistication here. Closing number 'The News From Your Bed' is particularly fine. filtering its McCartney influences through The Shins and Jon Brion, with an amiable honky-tonk shuffle to it, not to mention a nifty line in woodwind. A real unexpected treat this. Highly recommended.